iPhone and iPad users can now see all Naples Real Estate using our custom IDX app (above). It’s simple to use and shows you all homes and condos for sale in Southwest Florida. This is the first and most comprehensive property search for iPhone and iPad users looking for real estate in Naples, Florida. 1) On your Iphone or Ipad click on the App for Naples Real Estate above or click here to go to the app page. 2) Click “+Install” on your Iphone or Ipad. (You may be asked for your Itunes Password, enter it). 4) Click on the IDX My Agent icon on your iPhone or iPad. 7) Homes will pop up with a map as red icons. Click on the homes to find prices, see pictures and more. 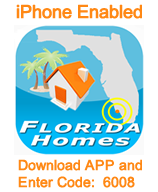 Call 239-417-1115 with any questions about this iphone/iPad app or to see any of the Naples homes shown. Naples real estate has been selling fast this year than ever. Don’t miss these amazing home deals! No matter where you are in the world, just click the Naples Real Estate IDX app and you’ll be amazed at the properties you find!